I’ve been a follower of Mollydooker Wines for some time now, visited the cellar door in Mclaren Vale amongst the rolling hills and vineyards and have experienced the WOW factor that is Mollydooker. It was an absolute delight to taste the Fun Series by Sarah on Thursday night at The Noble Gentleman. A fabulous location to celebrate the new release wines, accompanied by delicious grazing boards, smoked salmon crostinis and succulent lamb lollypops. 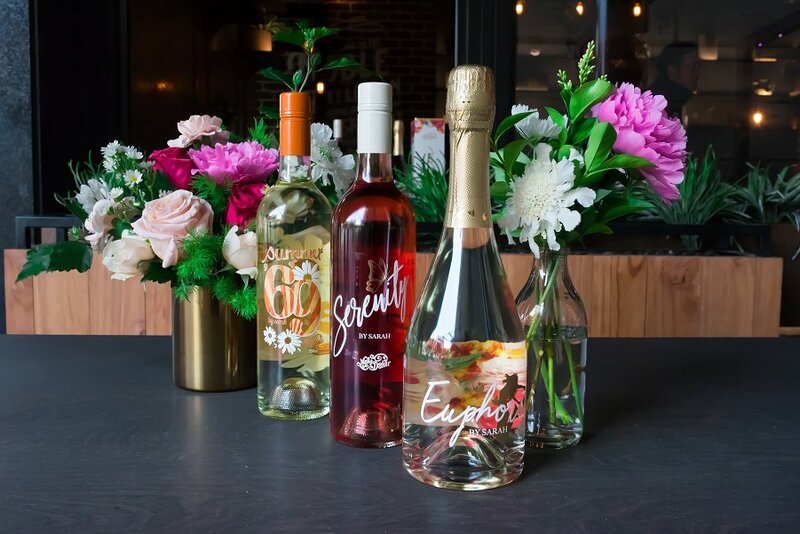 The three wines in the series are the Euphoria Sparkling Verdelho, Summer of 69 “early pick” Verdelho and the Serenity Merlot Rosè. All stunning wines with summer, fun and good times in mind! The Euphoria Sparkling Verdelho is BLISS! Delicate bubbles and lots of tropical flavours! A perfect way to start any dinner party especially with its versatile fruity flavours! A crowd pleaser amongst the Mollydooker fan club! I can’t help but burst into song “Was the summer of 69” (Thanks Brian Adams) when reflecting on this wine. These Verdelho grapes are an “early pick” meaning less time on the vine, which is not typical for this varietal, but we love it! Honeydew, ginger and pineapple all shine through in this wine. The most talked about wine of the night, the Serenity Merlot Rosè. The Merlot grapes burst with berry fruit flavours and crisp toffee finish. “How’s the serenity” – absolutely delicious! The Fun Series by Sarah is a must this summer! Available online and in the cellar door now! Join the vibrant team in Mclaren Vale and enjoy the new range, plus a huge variety of Mclaren Vale classics.